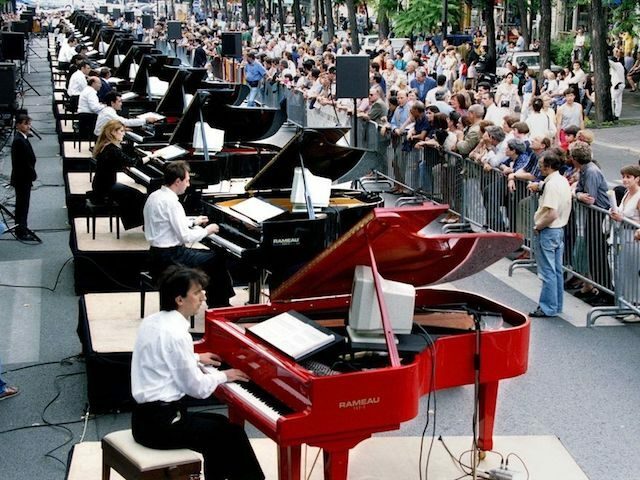 It all began in France with the Fête de la Musique. Starting as an initiative of the Ministry of Culture in 1982, the Fête de la Musique has become a nationwide musical holiday and a permanent part of the cultural calendar. Each year, France counts more than 17,000 free concerts nationwide on June 21, 1,500 of them in the Paris region. A 2017 survey showed that 64% of the French population actively participates by performing or listening to music on June 21. Of those, 72% have no fixed plans, but “wander around at random” to discover the music coming from every street corner.